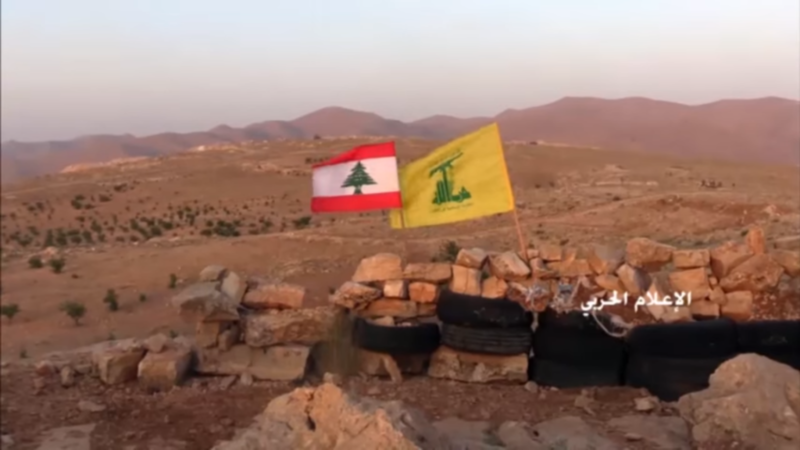 As fighting rages on in the Jurud Arsal region of Lebanon and in the western Qalamoun region of Syria, Hezbollah has claimed several advances against Sunni jihadists. 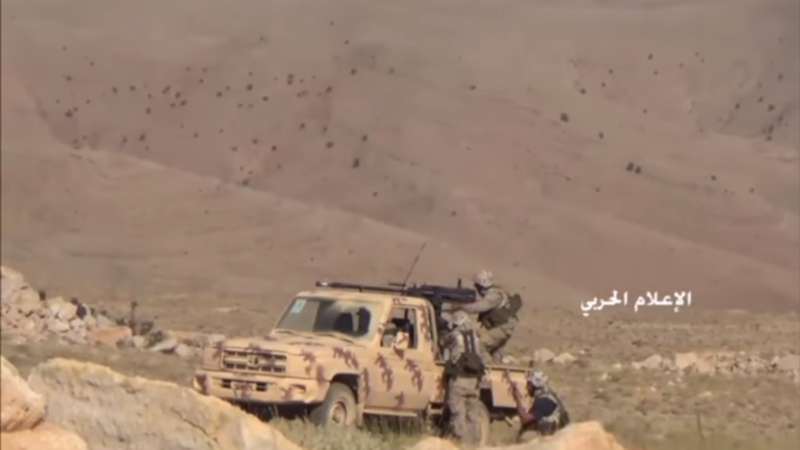 Since the operation to clear the border area began Friday, numerous videos have been uploaded to Hezbollah’s War Media Center on Telegram and YouTube. 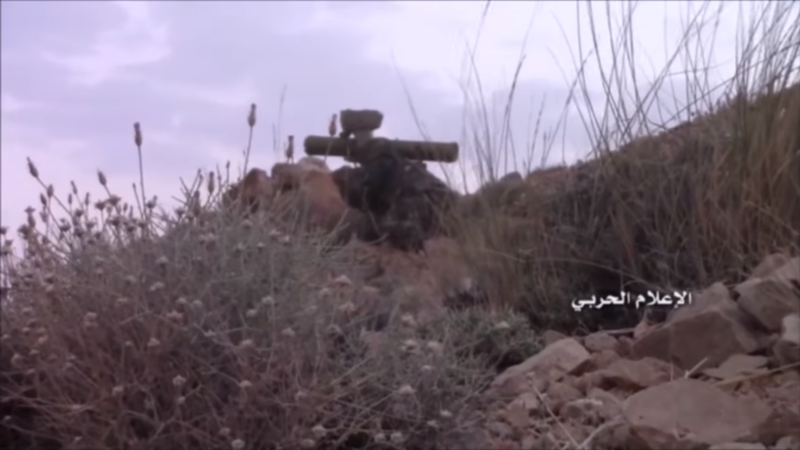 In one video, the Shiite jihadists are seen capturing a Sunni jihadist-occupied hill in the Jurud Arsal region of Lebanon (photo above). 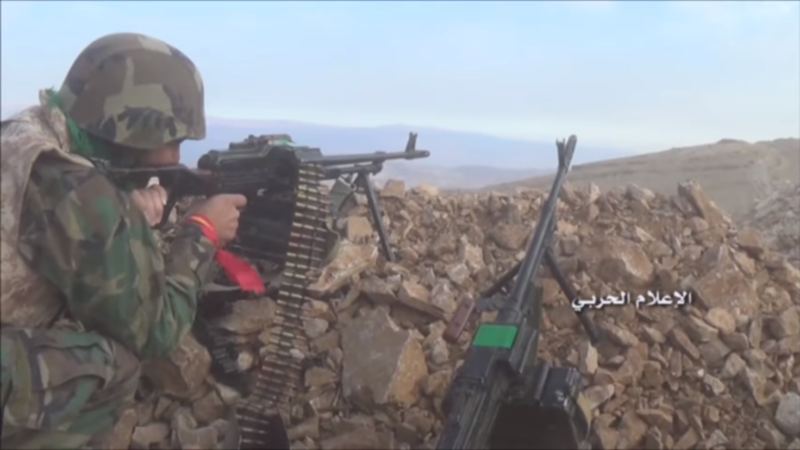 In others, Hezbollah fighters and the Syrian army are seen advancing near the town of Fleita in Syria’s western Qalamoun region. 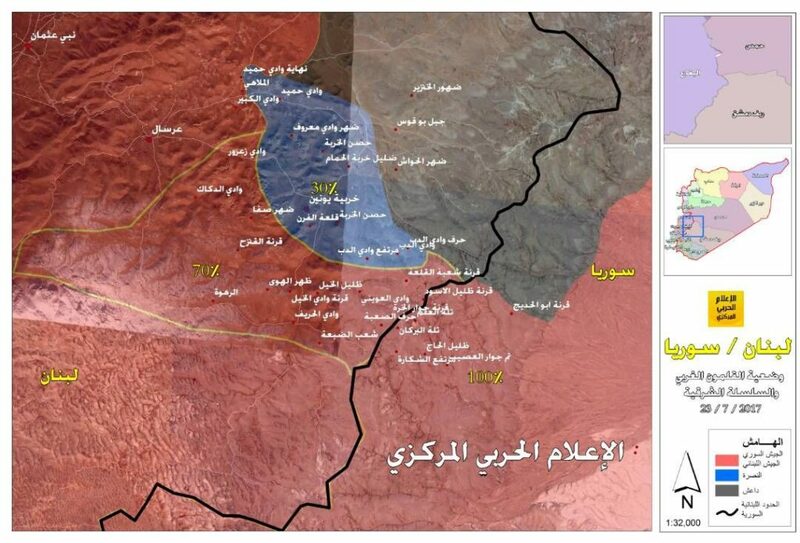 Today, the Shiite jihadist group claimed capturing Fleita barrens and its surroundings alongside the Syrian military. Several infographics from Hezbollah have also been released showing the progress against the Sunni forces on both sides of the border. 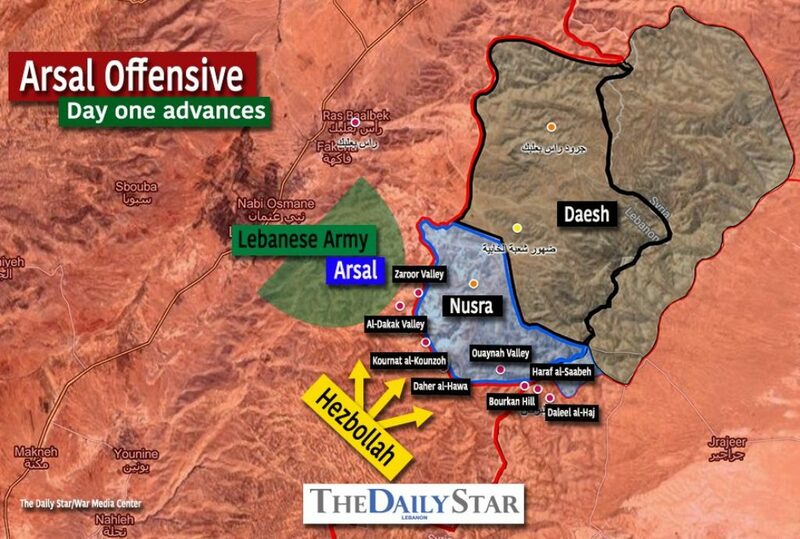 The infographics do not show the position of the Lebanese Armed Forces (LAF), however, an English translation of one graph by Lebanese publication The Daily Star does show LAF positions. Hay’at Tahrir al Sham (HTS), a coalition of different jihadist and rebel groups in Syria in which al Qaeda’s branch operates, has also claimed that its forces killed over 50 Hezbollah fighters and that several attacks were repelled. This number is likely exaggerated. 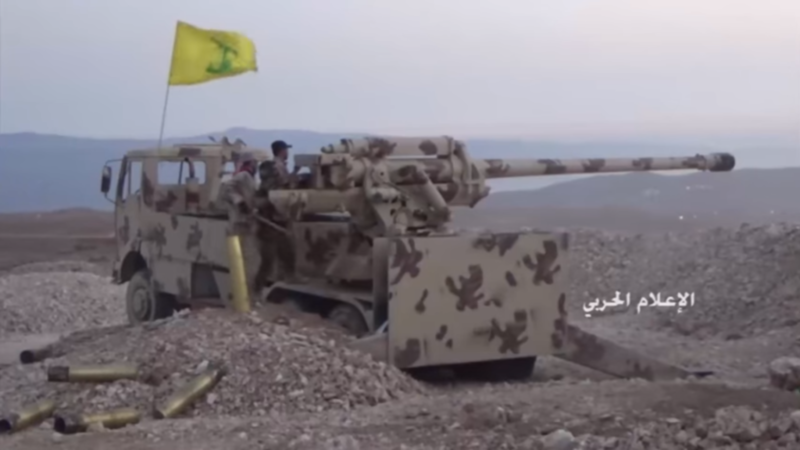 However, at least 15 Hezbollah fighters have been confirmed killed in the battles so far. Several have been eulogized on Hezbollah-linked social media accounts. A funeral procession for six of those fighters was also held yesterday in one of Beirut’s southern suburbs, a Hezbollah stronghold. 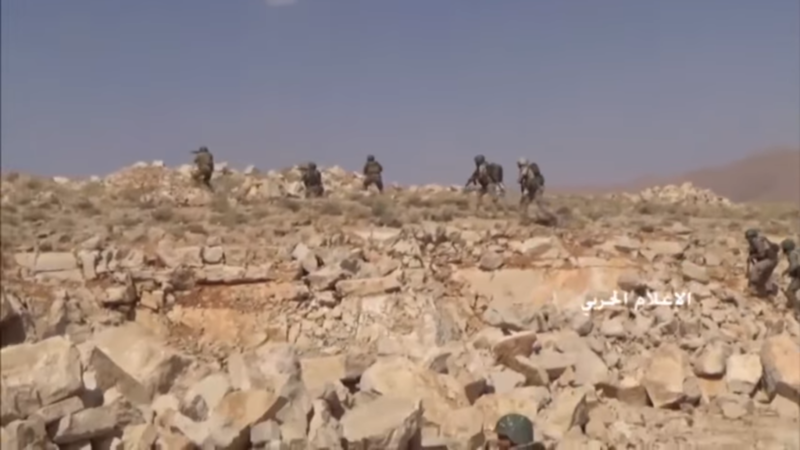 Additionally, Saraya Ahl al Sham – a Free Syrian Army-branded coalition of rebel groups in western Qalamoun – reportedly withdrew from its positions following the Hezbollah-led advance. Not to make it sound easy, but seems like Hezballah fighters would be sitting ducks for allied drones etc. Can anyone say why not ? Because it would be a provocation for Iran, Steve Silverman, if Israel wants to do it OK, but it is not the task of the coalition to make it even worse as it is now. Excellent reply that, though I might add that Hezbollah is killing other jihadists, so why interfere?